Robert Babayi’s primary practice focuses on client counseling, patent prosecution, licensing and litigation. More specifically, Robert Babayi counsels clients on the validity, enforceability and infringement of patents, and provides strategic advice on the relevance, strength and value of patents to commercial markets. He analyzes the risks associated with enforcing or defending patent portfolios, negotiates licensing terms and manages patent licensing programs. Robert Babayi also helps startup companies in obtaining valuable patents for developed technologies and helps with venture funding at early stages. Registered as an attorney before the US Patent and Trademark Office since 1989, Robert Babayi has prepared and prosecuted several hundred U.S. and foreign patents with emphasis on wired and wireless telecommunications, computing architecture, manufacturing processes and inventions related to the Internet and e-commerce. He has been involved in defensive and offensive aspects of complex patent litigations before the ITC and at the District Court level. Robert Babayi previously served as in-house counsel at Motorola, Inc., and IBM Corp. 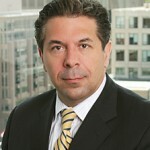 Currently, Robert Babayi serves as outside general counsel to a number of firm clients advising them on transactional and dispute resolution while managing their litigation needs. Robert Babayi is admitted into the D.C. and Florida bars. Robert Babayi is a co-founder of the Iranian American Bar Association, a non-profit organization dedicated to educate and address the legal needs of the Iranian American community and Nowruz Commission, a non-profit dedicated to preserving the tradition of Nowruz.